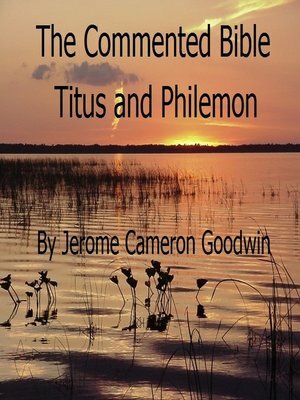 The Commented Bible – Book 56 and 57 – Titus and Philemon", is 11th in a series of writings on the writings of the Apostle Paul, entitled, Paul, Apostle To The Nations I Made You, in 13 parts. This book in the series is Part 11, and it covers the Bible books of Philippians and Colossians. It is 83 pages in length and will serve as a learning tool and continuing study reference throughout one's life.